We offer a full line of the finest dairy products available to meet all of our customers needs. 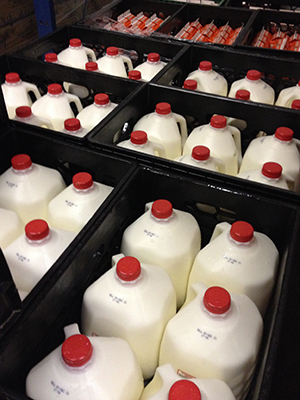 All of our dairy products are brought in daily to ensure only the freshest products are delivered to our customers. Our extensive list includes cottage cheese, sour cream, cream cheese, butter, margarine and much more. 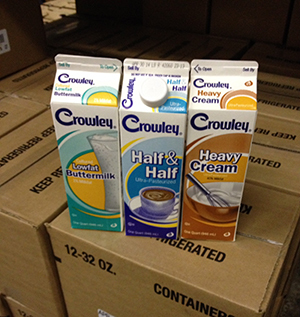 We carry top of the line products from the best in the industry including Crowley, H.P. Hood, Land-O-Lakes, and Cabot. We work closely with a local egg farm to supply our customers with the best fresh eggs available. We stock medium, large and extra large in both retail cartons and tray pack.